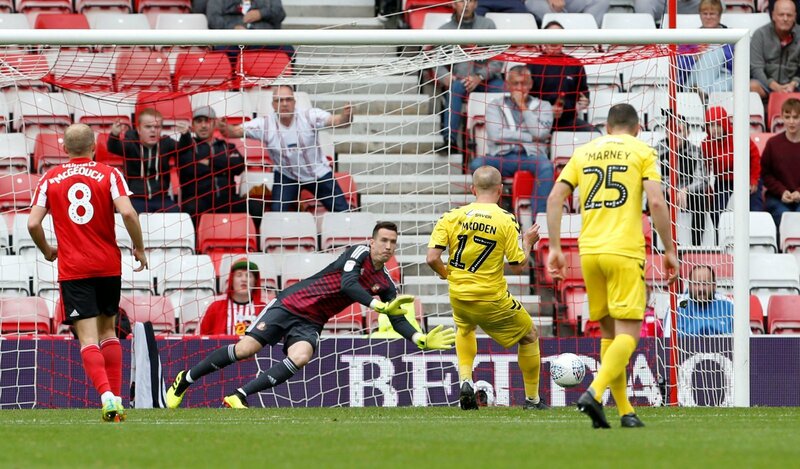 Sunderland manager Jack Ross has praised goalkeeper Jon McLaughlin for his performance in the 1-1 draw with Oxford United at the weekend, after speaking to the Chronicle Live. It was a bitterly disappointing afternoon for the Black Cats, who despite going into the half-time break a goal up thanks to Jimmy Dunne, came out and let Karl Robinson’s men dominate for large parts of the second half. Oxford got what they deserved after Marcus Browne netted in the dying embers of the game, and the result could have definitely swung even further in their favour had McLaughlin not been in inspired form all game. The result in Oxfordshire leaves the Black Cats looking for only their second win in six league games as they prepare to host an in-form Blackpool side at the Stadium of Light on Tuesday. Ross’ men currently sit 4th in the Sky Bet League One table, five points off the automatic promotion places, but with two games in hand on Barnsley. McLaughlin was absolutely outstanding for Sunderland at the weekend, and his teammates definitely have him to thank after putting in such a fantastic performance, which ultimately rescued a point for them. Sunderland just haven’t been themselves in recent weeks, and don’t look near anywhere near as convincing as they did when they had Josh Maja in the team. Things need to start picking up, and fast, if they are to avoid the stress of the play-offs this season.